MainOpEdsINTO THE FRAY: Obama unplugged: What to do? INTO THE FRAY: Obama unplugged: What to do? Israel must credibly convey that support for unilateral Palestinian statehood will not be a cost-free decision for whoever acts to effect it – or fails to foil it. Obama’s final months in power are a unique opportunity to correct the record, and, more important, score an achievement that his successors could scarcely undo.- Nathan Thrall, “Obama & Palestine: The Last Chance”, New York Review of Books, September 10, 2016. Israel’s most urgent diplomatic mission today is to develop and implement a strategy that will outflank President Barack Obama in his final eight weeks in power. – Caroline Glick, “Checkmating Obama”, October 27, 2016. The US elections are over. The die is cast. The American people—more deeply divided than ever before—have made their choice. As the virtual monopoly that the US electoral process had over the media begins to wane, other issues begin to dominate the discourse. For Israel, the issue that, arguably, is the most pressing, is how to forestall any vindictive initiative from the Obama administration in the eight week “interregnum”, until his successor is inaugurated. True, the probability of such an initiative may have receded considerably following the trouncing of Obama’s Democratic Party, which may be too preoccupied with introspective soul-searching and internecine finger-pointing to open up a new confrontational front. However, any complacency on this matter would be foolhardy. Indeed, far-from-implausible counter-arguments can be conceived of, that make the case that the stinging defeat might even stir the rancor of the outgoing administration towards Israel, increasing the probability of some inimical measure being undertaken against it. Thus, in a recent New York Post article (November 14, 2016), Seth Mandel warns that Hillary’s loss may well accelerate “the Democrats’ turn against Israel” with the front-runner for the next Democratic National Committee chairman being Minnesota Rep. Keith Ellison, “a fiery critic of Israel”. In the weeks before the election, speculation was rife as to some kind of adversarial move by the Obama administration before it leaves office. Thus, the Wall Street Journal ran a piece entitled Israel Surprise? : Fears grow of a final days presidential ambush at the U.N. ( Oct. 31, 2016). 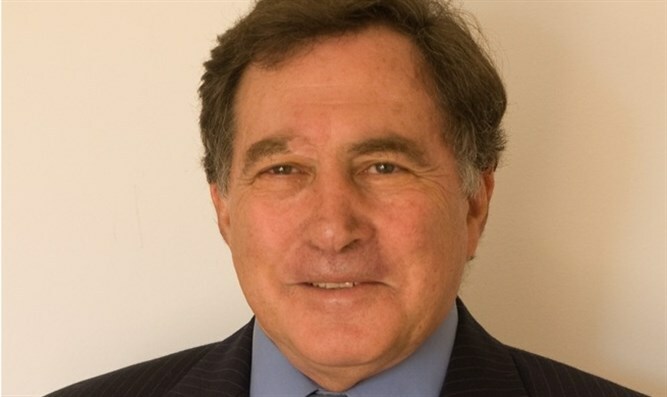 Two weeks earlier, Dan Arbell, senior fellow, at the Brookings Institute posted his assessment, Does Obama really have a November surprise planned for Israel and the Palestinians? 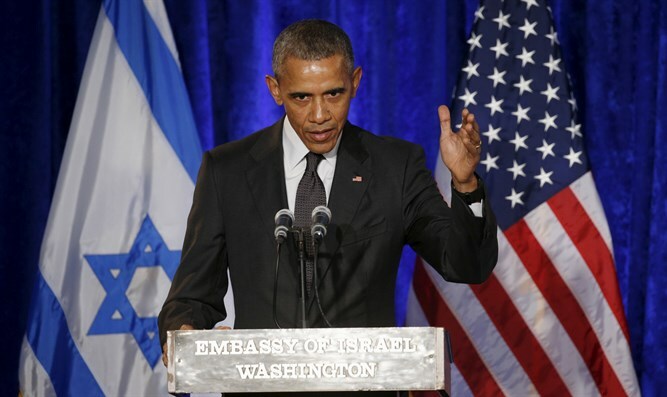 , (October 17, 2016), in which he predicted: “…Obama will not leave the White House without addressing the Israeli-Palestinian issue, one final time, as president”. Likewise, Rafael Medoff posted an article in Algemeiner (November 7, 2016) headlined Israel, Jewish Groups Fear an Obama ‘December Surprise’ at the UN, detailing various proposals, reportedly under consideration by the outgoing administration (from unilateral recognition of a Palestinian state to punitive action against the “settlements” and their US supporters); and warning of the long-lasting detrimental impact they are likely to have on Israel and on any prospect for reducing Palestinian intransigence. Warning against any post-election complacency, Jonathan Schanzer, vice-president of the Washington based think -tank, Foundation for Defense of Democracies, cautioned that Trump’s victory over Clinton could, in fact, make Obama feel “less encumbered” about launching an end-of-term lame-duck Israeli-Palestinian diplomatic initiative. However, while the media abounded with ominous warnings as to possible hostile diplomatic initiatives from the White House, few, if any, of those sounding the alarm offered any formula of how to confront, contend and counter such moves. Glick, however, did not restrict herself to cautioning as to the prospective dangers looming on Israel’s political horizon. She also attempted to set out a recipe for dealing with them. While her proactive problem-solving approach is in itself admirable, sadly the remedies she prescribes are highly unlikely to be effective. I do not wish to dwell in great detail on the glaring defects in these proposals, or on their low probability of success, which Glick herself acknowledges, admitting “There are many more ways for Israel to fail than succeed”. Suffice it to say that as a response to an inimical initiative by Obama, they are far too little; far too late; and far too tenuous. Thus, while Glick is correct in her overall approach of demonstrating that “attacking Israel is no longer cost free” and that “We are not powerless in the grip of circumstances. We have cards to play”, the measures she is proposing are hardly commensurate with the threat they are meant to counter. Moreover, there is probably not enough time to gear for their implementation, while their success is heavily dependent on the good will and reliability of others. Instead, Israel needs to fashion a response which it can implement on its own, without requiring the collaboration of others, on its own timetable and which will be strong enough to effectively forestall the threat it was designed to deal with. Such a response is entirely within Israel’s reach. All it requires is sufficient political will to carry it out. Responding to unilateralism with unilateralism. I have been advocating this kind of response for over half-a-decade, ever since the Palestinians raised the possibility of making a unilateral bid for independence at the UN in September 2011 – see Come September (August 18, 2011), where, much like Glick’s call in her recent article, I urged that “Israel must credibly convey that support for unilateral Palestinian statehood will not be a cost-free decision for whoever acts to effect it – or fails to act to foil it”. I have advanced it repeatedly in subsequent columns –see Israel’s only option (December 25, 2014). Accordingly, should any measures, not mutually agreed upon, be instituted in international forums to advance the establishment of a Palestinian state, Israel should announce that, since consensual resolution of conflict has proved unattainable, it will seek other alternatives – now unavoidably unilateral. sponsored UNESCO resolution, denying any Jewish connection to the Temple Mount. Clearly, as an implacable enemy, Israel has no moral obligation or practical interest in sustaining their economy or social order. Consequently, should Israel be confronted with an un-vetoed resolution to promote Palestinian statehood, it must convey in unequivocally clear terms to the Palestinians – and to their supporters – that if it is independence they demand, then independent they will have to be. As a result, Israel will cease, forthwith, to provide all services and merchandise that it provides them today. In other words, no water, electricity, fuel, postal services, communications, port facilities, tax collection or remittances will be supplied by Israel any longer. After all, what possible claim could be invoked to coerce one sovereign entity to provide for another allegedly sovereign entity – and an overtly adversarial one at that? Indeed, when Israel declared its independence, no Arab country rushed to help it develop and evolve. Quite the opposite: The Arab world imposed embargoes and boycotts on it – and on anyone with the temerity to conduct commerce with it. Nothing could do more to lay bare the absurdity of the Palestinians’ total dependence on the very body from which they seek independence. It is still too early to judge whether fears as to some spiteful anti-Israeli initiative at the UN or elsewhere by the outgoing president will be borne out, or whether his party’s sweeping defeat across the board will have left him chastened enough for him to choose to forego any further adversarial engagement until his successor takes office. While Israel must be alive to the dangers any such initiative may entail, and be prepared to weather them, it might also present an opportunity for Israel to reiterate that should any one wish to impose on it the establishment of yet another homophobic, misogynistic Muslim-majority tyranny, that in all likelihood would become a forward base for radical Islamist terror, they will have to shoulder the costs to sustain it themselves. That just might have a chilling effect on their enthusiasm for the whole idea of Palestinian statehood.